Raising children is a tough job. Chaos and exhaustion are two words that come to mind. I have compiled a list of funny, quick reads that embrace the crazy and will have you laughing about the realities of life with kids. 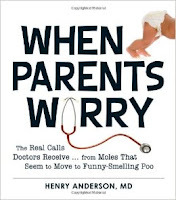 These books are highly recommended for days when you are stressed out and could use a giggle. Confessions of the World’s Best Father, by Dave Engledow, includes a funny and creative collection of photographs of the author and his daughter during the first few years of her life. The photographs feature father and daughter in amusing, sweet, and sometimes dangerous situations as Engledow explores the joys and challenges of fatherhood. 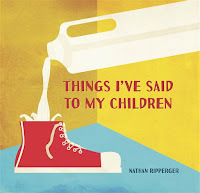 It is absolutely impossible not to laugh out loud while reading, Things I’ve Said to my Children, written and illustrated by Nathan Ripperger. Alongside Ripperger’s fun graphic designs, each page includes something that the author has said while raising his own five children. Personal favourites include, “Honey, please don’t lick the toaster,” “We do not poop in books,” and “Finish your Doritos if you want some Cheetos.” This one is not to be missed. 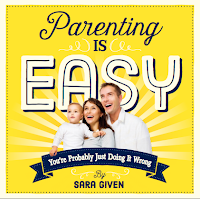 Parenting is Easy: you’re probably just doing it wrong, is written by Sara Given, creator of the Tumblr blog, “It’s Like They Know Us.” Given’s book is filled with idealized photos of parents and their children. For each photograph, Given’s writes a funny, sarcastic caption. This is a quick read that will have you laughing right away. Life with children is never easy and Sara Given’s book is a great reminder to have a sense of humour in the midst of the chaos.